With the stakes so high for a midsize family sedan, Honda pulled out all the stops, according to the consensus view of the automotive press. There's even a hybrid coming out this year as a 2014 model. Appealing to a wide spectrum of the buying public, most critics agree that Honda has got its game plan down just fine with the redesigned 2013 Accord. Midsize car owners who buy the 2013 Honda Accord tend to be looking for a family car. Some have long commutes and want a comfortable vehicle that gets good gas mileage, while others just like the room, features, looks and reliability that they get with a Honda. Combing through owner reviews on sites such as Edmunds, Kelley Blue Book, Yahoo Autos, MSN Autos and others, it is fair to say that, for the most part, owners are happy with their purchase of the 2013 Honda Accord. In 88 reviews posted on Edmunds, owners are highly complimentary about the car's styling and features, the great gas mileage they get, and the value for the price paid. There are a few negative comments about the CVT, particularly at low speeds where it tends to be "jerky." Others complain about wind noise and the trunk lid that doesn't fit properly, leaking windshield and an "annoying" rattle in the driver's side door (one owner, in fact, listed all these in their review of the Accord, and still rated it four stars out of five). There are 97 owner reviews on Yahoo Autos, and the site indicates an overall rating of four out of five stars. Owners of Sport models very happy, two of whom traded in Volkswagen CC and Toyota Camry for the Accord. "Fun to drive," "resembles a BMW," and "I don't think there's a better value" are typical comments. 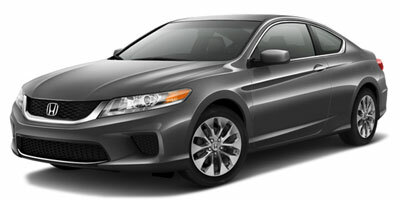 Kelley Blue Book has 34 owner reviews for the 2013 Honda Accord and an overall 9.3 (out of 10) rating. Typical comments include great looks, lots of features, great gas mileage, good driving experience and excellent value for the money. Consumers seem to really like the lane change and backup cameras. There are some complaints about road noise. Owners commenting on MSN Autos similarly seem to be in the highly satisfied camp when it comes to the 2013 Honda Accord. Summarizing their postings, the owners say the Accord excels in quiet and comfortable ride, quick acceleration, quality build, great fuel economy and exceeds expectations. A few find that the CVT takes some getting used to, rear speaker quality could be better and other minor complaints. As befits one of America's favorite family sedans, the 2013 Honda Accord, say many in the automotive press, comes in a dizzying array of combinations. In the Accord sedan, consumers can choose from six trim levels, two of which are new. In order, they are the base LX, Sport (essentially replacing last year's SE), EX, EX-L, EX-L V6, and Touring. Expect all the basics in the Accord LX, the least-expensive Accord sedan. Standard equipment includes 16-inch wheels, cruise control, tilt and telescoping steering wheel with audio controls, power windows, mirrors and locks with remote, height-adjustable driver's seat, folding rear seat, auxiliary jack and USB port, Pandora Internet Radio, interior air filter and a rearview camera. The Honda Sport adds 18-inch wheels, dual exhaust, a leather-wrapped steering wheel, steering-wheel paddle shifters (when the Accord is equipped with CVT), fog lights, and a rear spoiler. To get Honda's new-for-2013 LaneWatch as standard, buyers need to move up to the EX trim. Other features standard include keyless entry and starting, heated power mirrors, power sunroof, and 17-inch wheels. Next up is the EX-L, which adds leather upholstery, heated front seats, a multi-angle rearview camera, and an upgraded stereo system with touchscreen control panel and Honda's new "HondaLink" smartphone app interface with Aha, an Internet-based platform for a wide variety of online content. Also included are Honda's new-for-2013 lane departure warning and forward-collision alert systems. EX-L V6 switches out the four-cylinder engine for the V6, and also adds LED daytime running lights and a universal garage-door opener. The top-of-the-line Accord Touring model tacks on adaptive cruise control and LED headlights. A navigation system with voice recognition and real-time traffic information is available on EX-L, EX-L V6 and Touring models. Honda Accord Coupe models are divided into four trim levels: base LX-S, EX, EX-L and EX-L V6. The LX-S is equipped like the sedan's EX (with the exception of 17-inch tires in place of 16-inchers), while the other coupe models are virtually identical in standard equipment to the sedan models. According to most of the automotive reviewing press, highlights of the redesigned 9033 Honda Accord include worthwhile new technology features and improvements in fuel economy numbers with no significant performance penalty. Some reviewers comment that the characteristics of the continuously variable transmission (CVT) won't be to everyone's liking. Ride quality may be a bit too firm for some as well. The standard transmission in coupe and sedan models is the 2.4-liter in-line four-cylinder engine. Except for Accord Sport, this engine produces 185 horsepower and 181 pound-feet of torque. That's an 8 horsepower improvement over the previous year's base-model four-cylinder. In the Sport, thanks to less restrictive dual exhaust, the numbers bump up to 189 horsepower and 182 pound-feet of torque. A six-speed manual is the standard transmission paired with four-cylinder engine in LX, Sport and EX sedans, and LX-S and EX coupes. Optional on four-cylinder sedans and coupe and standard on four-cylinder EX-L sedan and coupe is the newly-developed CVT. EPA-estimated fuel economy is 27 mpg city/36 mpg highway/30 mpg combined. As one review notes, this is better than the fuel economy of the Honda Fit. The Accord Sport automatic achieves an estimated 26/35/29 mpg and four-cylinder Accords with six-speed manual get fuel economy estimated at 24/34/28 mpg. The upgraded 3.5-liter V6 develops 278 horsepower and 252 pound-feet of torque. Paired by a conventional six-speed automatic transmission, the fuel economy on the V6 is still considered impressive at 21 mpg city/34 mpg highway/25 mpg combined. In Accord EX-L Coupe powered by the V6 and a six-speed manual, fuel economy is down a bit to 18/28/22 mpg. In general, most in the automotive press find a lot to like about the interior of the 2013 Honda Accord. Comments abound about the high-quality look and feel. The satin-finish silver trim gives the dashboard a more luxurious look. Buttons and switchgear move as they should. The leather upholstery on EX-L and above gives the Accord even more luxury look and feel. Among the auto critics, however, there are a few nits to pick with the Accord's interior. Many note that the trunk opening is small and rear visibility to the corners is somewhat obscured in the coupe by the thick rear pillars. On the plus side, reviewers note that the interior is also a lot quieter than the previous model, as the redesign included a host of noise abatements: A-pillars mounted flush with the windshield, noise-canceling speakers, and more hood and fender insulation. As for roominess, here is where the Accord takes center stage. Although the Accord has slightly smaller exterior dimensions with this year's redesign, the interior room is still impressive. Front occupants have plenty of leg and shoulder room and those in the back seat should feel similarly comfortable. Trunk space in the Accord sedan is 15.8 cubic feet, which is more than one cubic foot larger than the 2012 model. In the Accord coupe, the trunk capacity is 13.4 cubic feet. Standard safety equipment on all 2013 Honda Accords includes antilock disc brakes, stability and traction control, active front head restraints, front seat side airbags and side curtain airbags. Blind-spot monitoring is available on upper trim models. Newly available safety features for 2013 include Lane Departure Warning, Forward Collision Warning, and Honda's LaneWatch camera. LaneWatch uses cameras mounted in the rearview mirror on the passenger side to transmit a wide-angle vie of the blind-spot area on the vehicle's right-hand side. Honda says the system can be configured to operate via a button located on the car's turn-signal stalk, or it can be activated automatically when the right turn signal is in use. In government crash tests, the 2013 Honda Accord sedan earned a five-star overall safety rating from the National Highway Traffic Safety Administration (NHTSA). Within that five-star rating is five stars for overall and side crash protection and four stars for frontal protection. The Honda Accord Coupe earned five stars across the board. Both sedan and coupe earned the best possible rating of "Good" from the Insurance Institute for Highway Safety (IIHS) in frontal-offset, side and roof strength tests. The sedan earned a "Good" rating in the new "small overlap front crash" test, while the coupe earned an "Acceptable" rating. What makes this noteworthy is that most vehicles that have undergone this new test have scored poorly in it. Reliability is expected to be very good with the 2013 Honda Accord. According to the J.D. Power Predicted Reliability rating, the 2013 Honda Accord has a four Power Circle score. This means a reliability that is better than most in the category. Interested to see how the 2013 Honda Accord ranks against similar cars in terms of key attributes? Here are the 2013 Honda Accord rankings for MPG, horsepower, torque, leg room, head room, shoulder room, hip room and so forth.